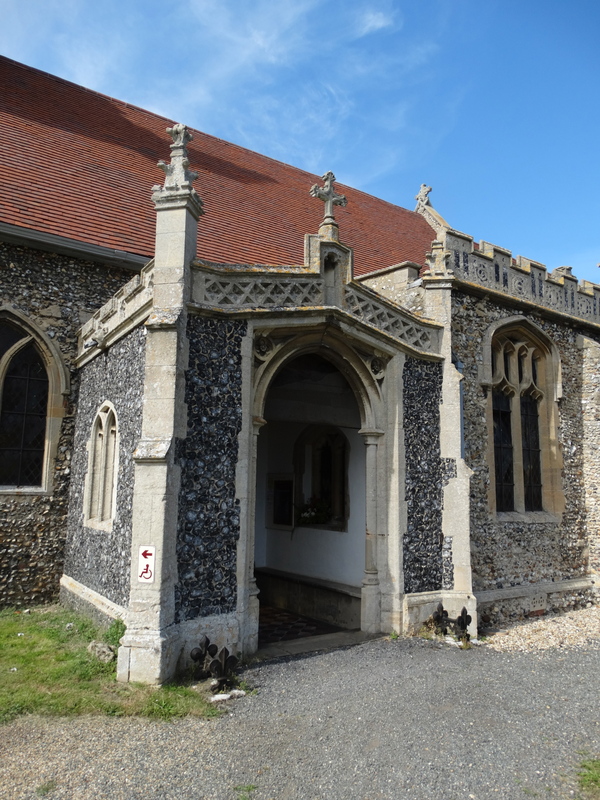 The Feast of St Thomas the Apostle, and 50 of us for a Eucharist – much appreciated. 20 years since Ordination, and none of us looked any older! 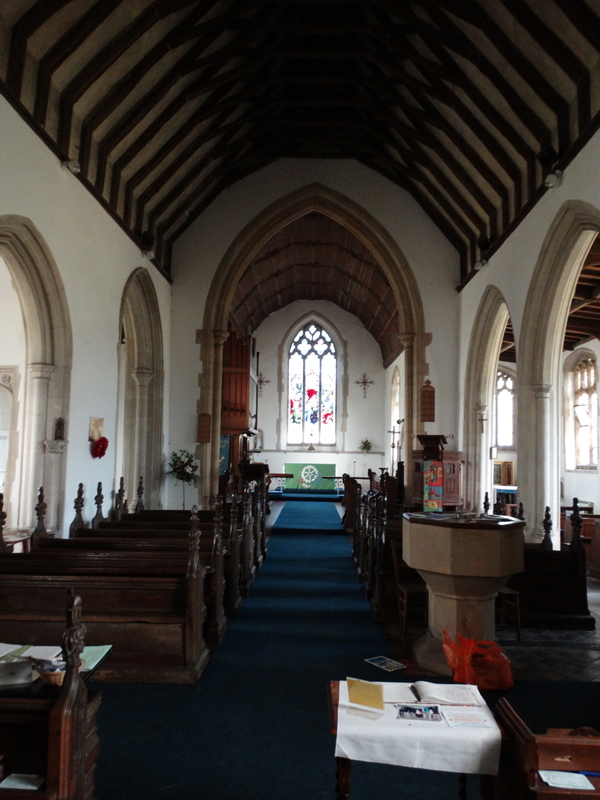 I went back the following day for a look round – the church is open every day. 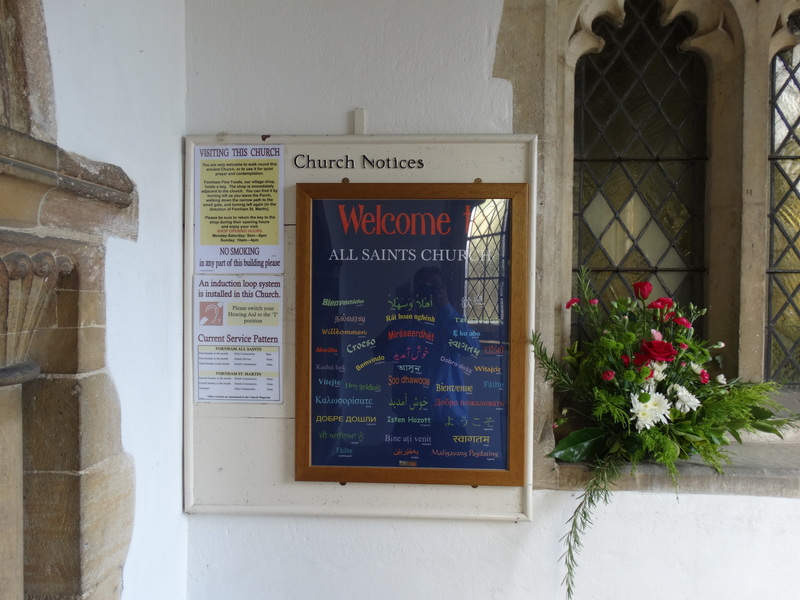 When I was here as a Curate, a teenager and an older lady arrived on the doorstep one day. 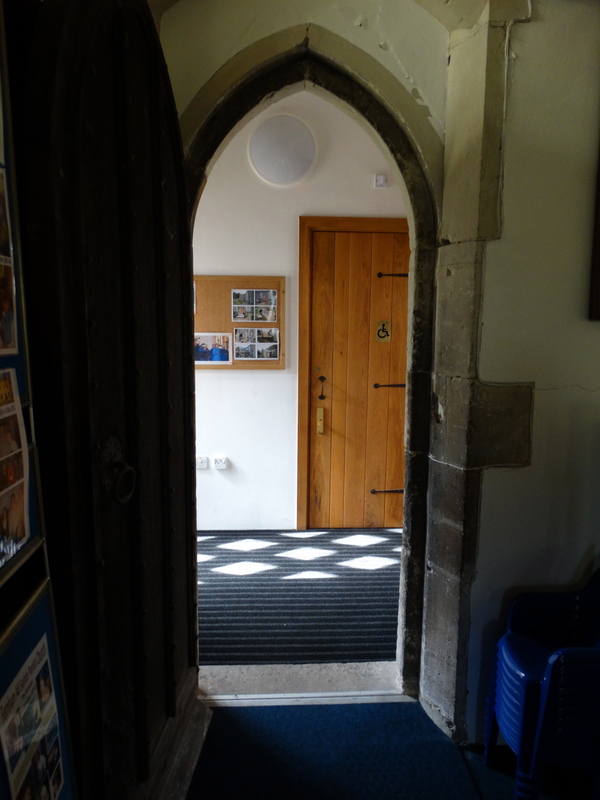 “Could they look round the church?” I told them it was open and we got chatting. It turned out the young lady was a school-refuser and the older lady her tutor. The young lady could draw, so we worked together over the next few weeks to produce an illustrated guidebook. Last time I saw her, she was working for the Royal Mail – having had a guidebook to take to interview and to talk about. They now, 18 years later, have a new guidebook – fair enough – but it uses her illustrations and doesn’t credit her … . When I can find the original guidebook (it’s somewhere in my study) I’ll let you know her name! 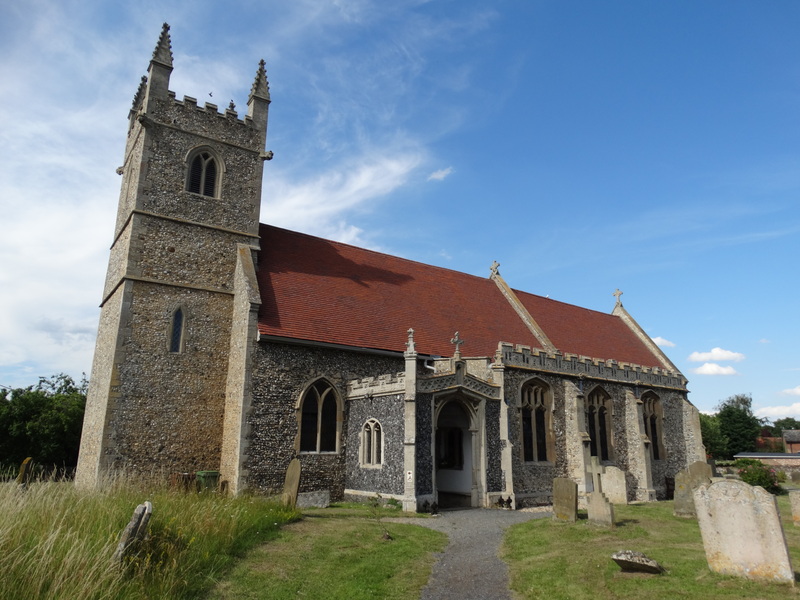 (Guidebook found on 27 October 2014. Laura-Jayne Pearson). 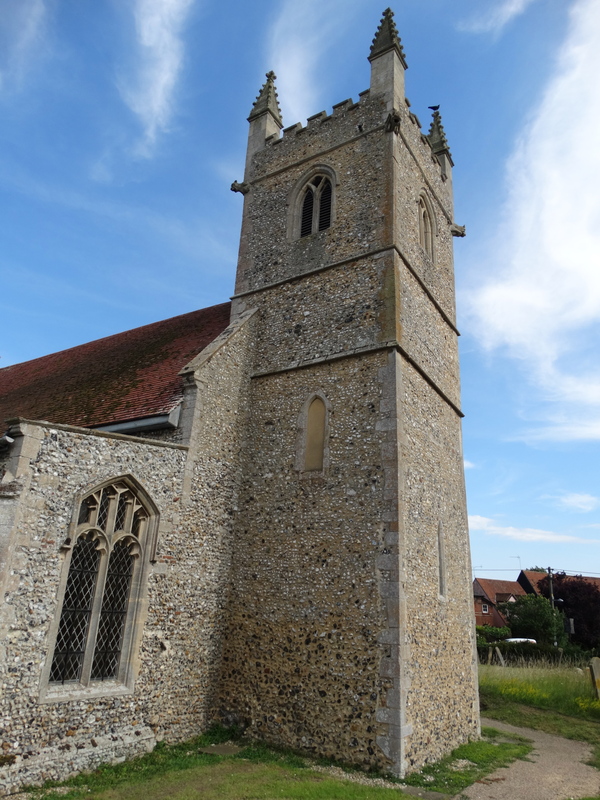 The Norman church was built between 1286 and 1308 on the site of the previous Saxon church. 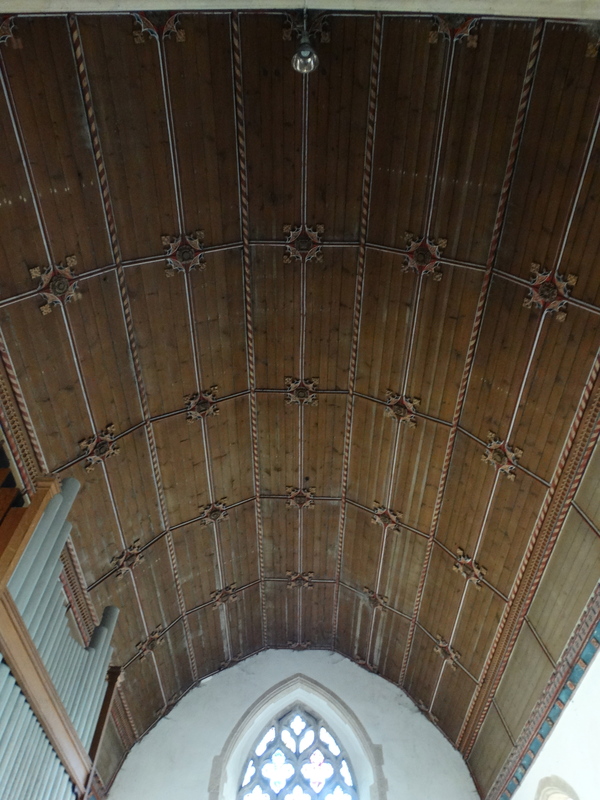 The South Porch is a lovely example of mediaeval craftsmanship, Perpendicular, C15, and was much restored in 1864. 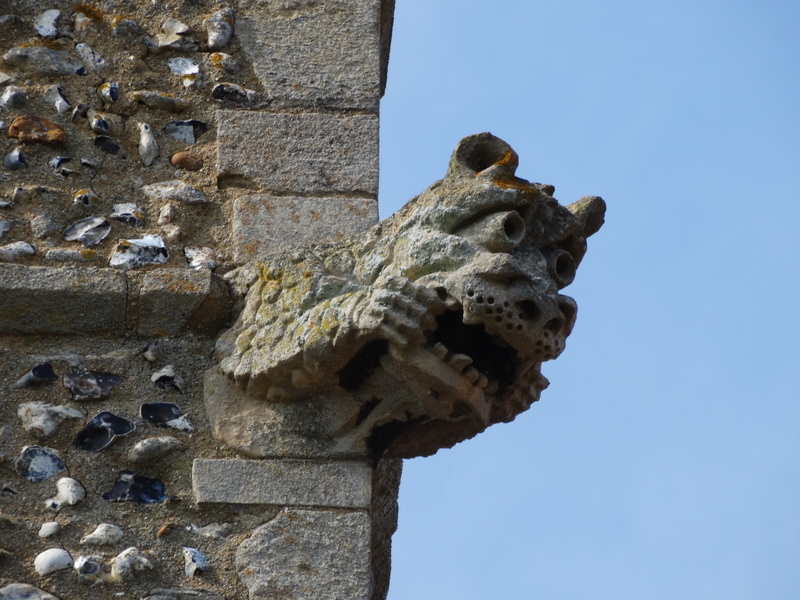 Lovely flint work, crocketted pinnacles (spell check has just changed that to ‘crocheted’), and a Green Man in the roof. 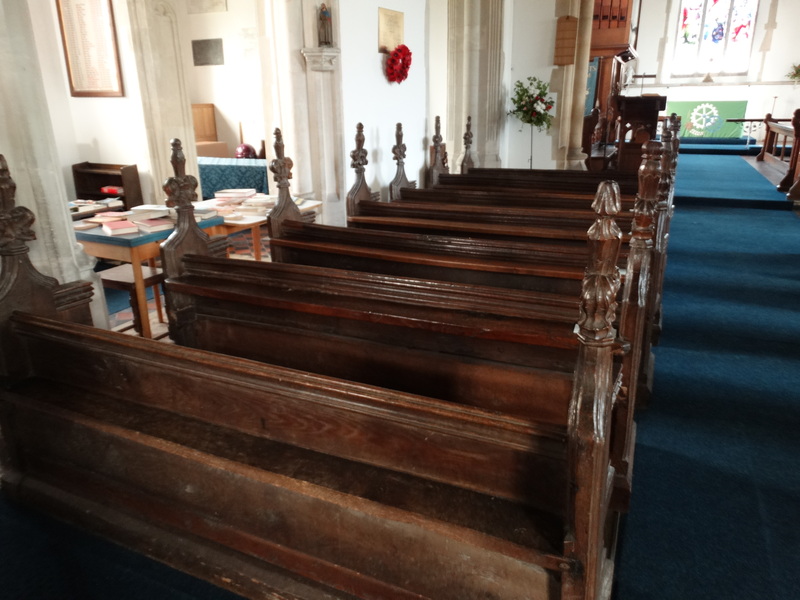 The Nave is straightforward and there are seventeen mediaeval benches with poppyhead ends. The rest are Victorian. 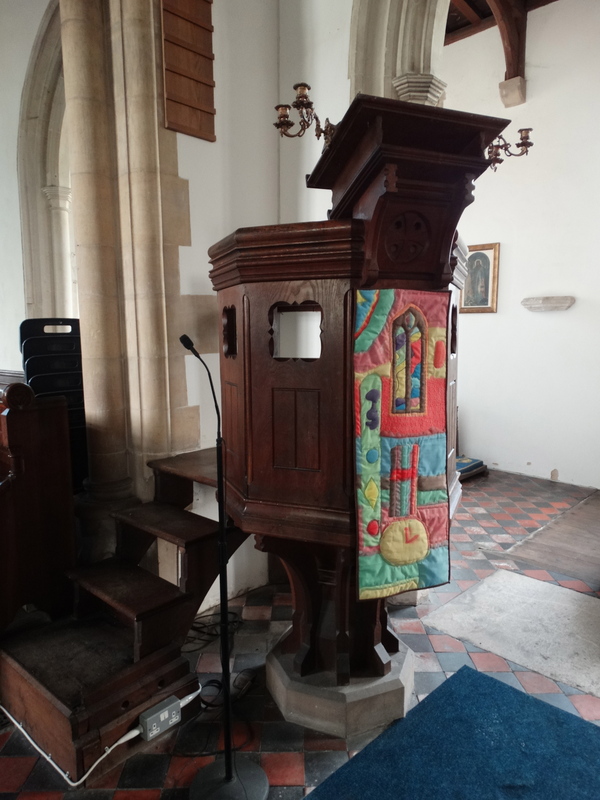 Nice colourful hanging on the pulpit too. 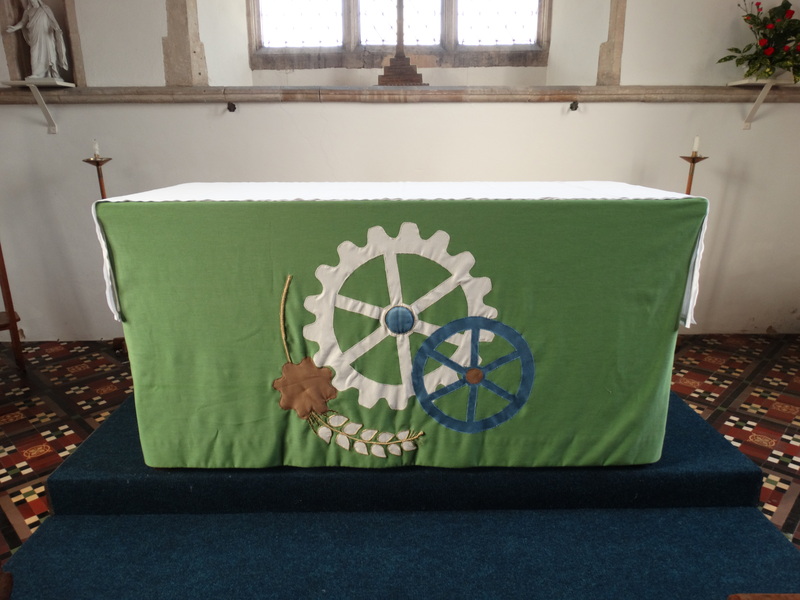 I like this green altar frontal, east window and piscina. 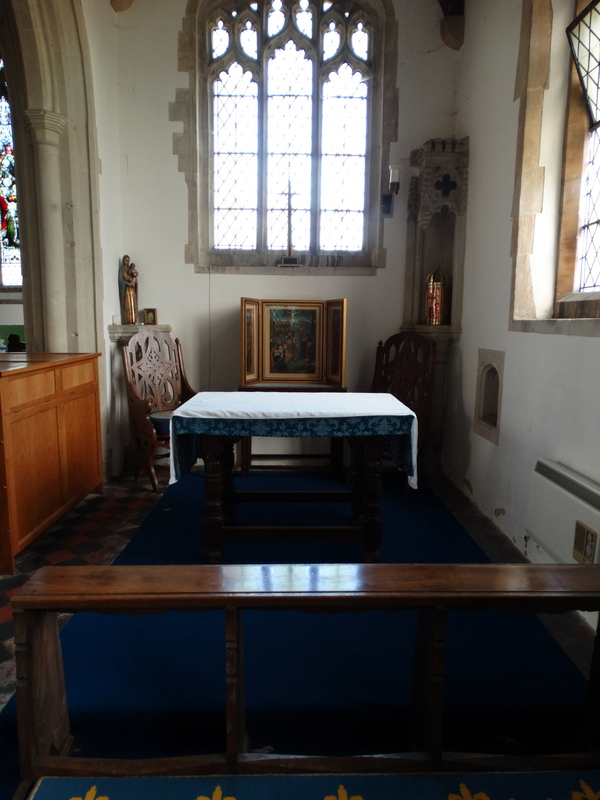 In the south aisle there is a separate altar, and the sacrament is reserved in an aumbry. 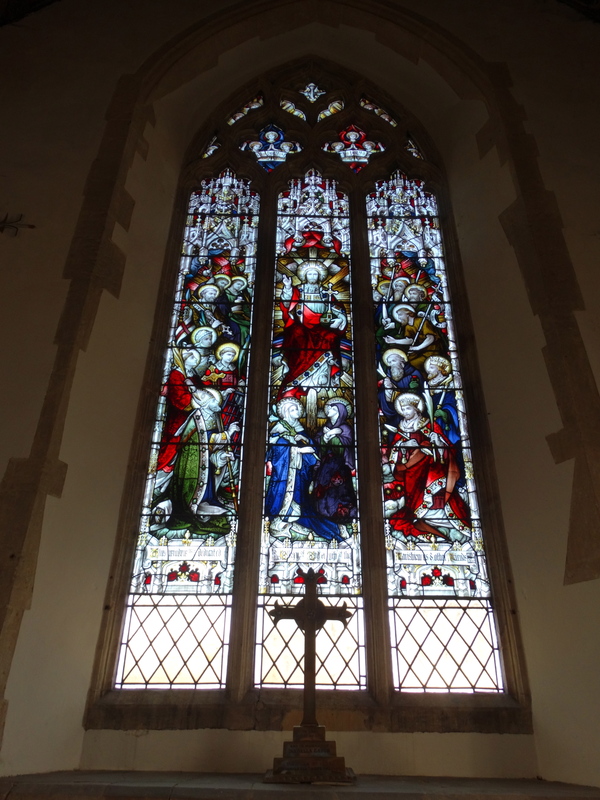 We had the church closed for a few weeks while it was redecorated At the opening service the Archdeacon took the sacrament back to the aumbry, genuflected, and flicked the switch for the sanctuary light at the same time. 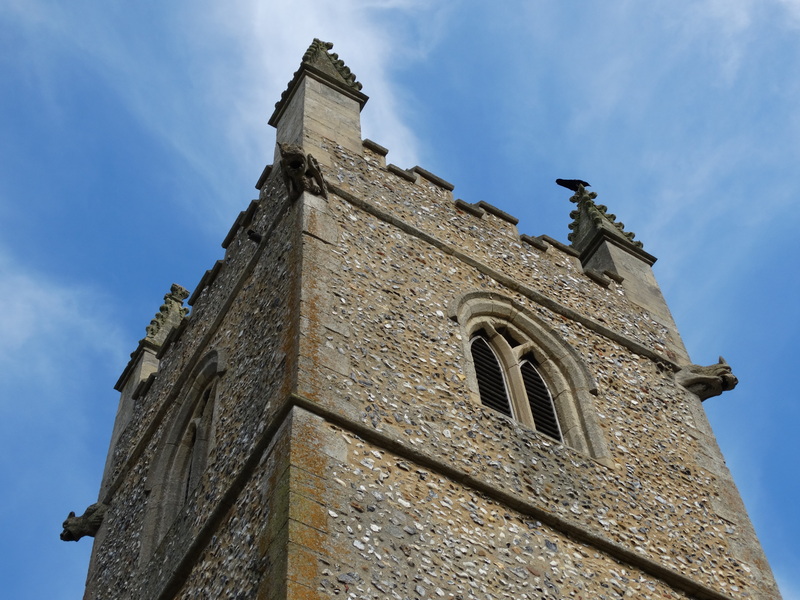 The following night I got a phone call from the police – did I know a light was on in church? Ever tried explaining “reservation of the sacrament” to Her Majesty’s Constabulary? 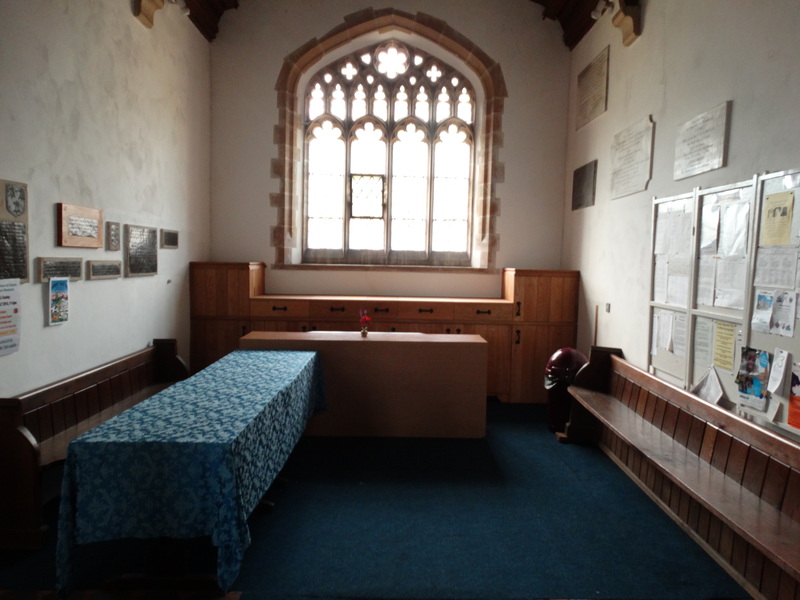 In the North Transept there is now a decent servery, and a new toilet and disabled access has been added since my day. 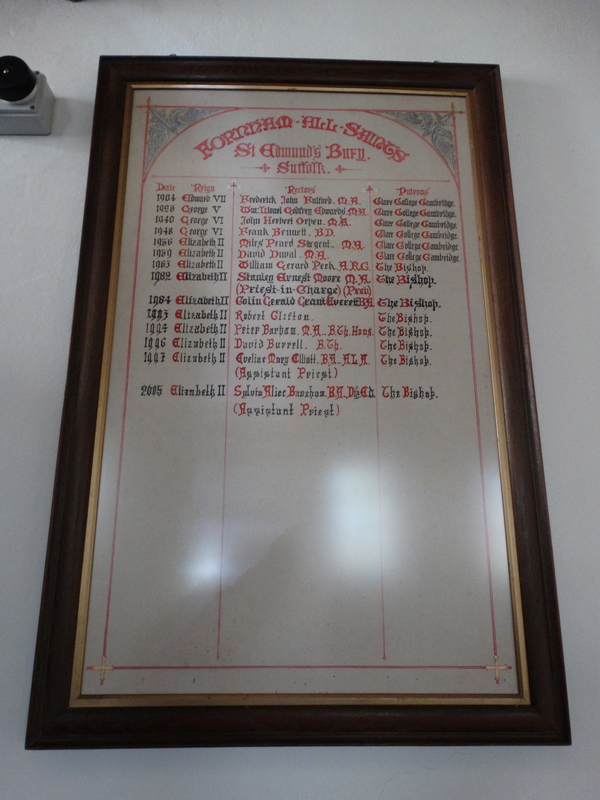 My name is on the list of Rectors – I was only the Curate! 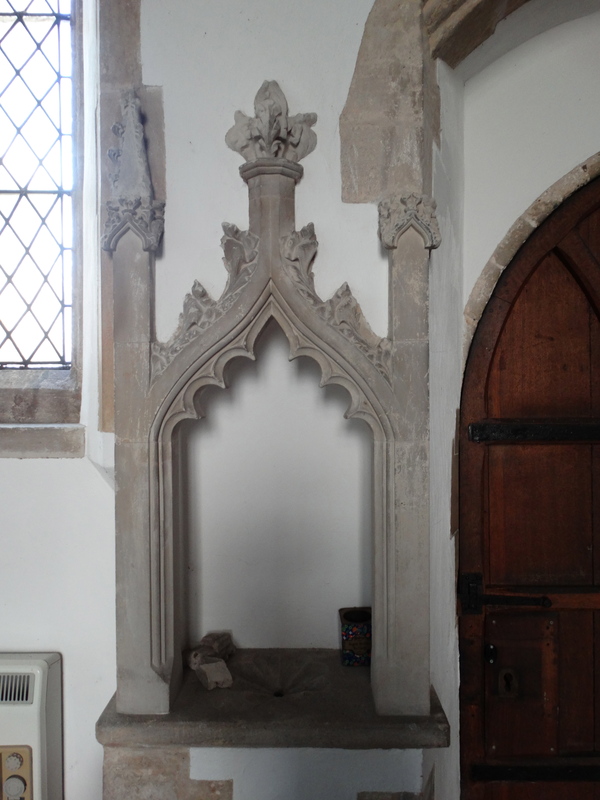 The loo is the extension on the right of the above picture. 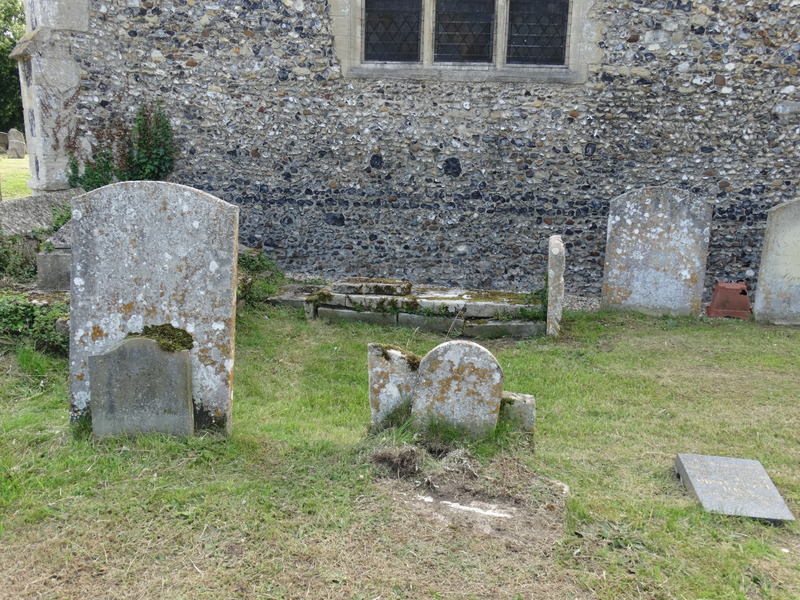 The churchyard is well cared for. 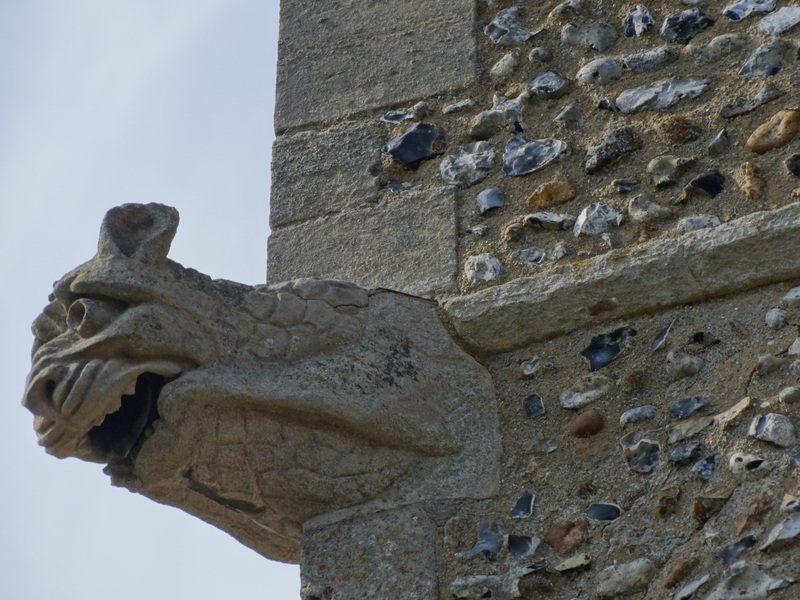 I love the tower, and the mediaeval gargoyles. 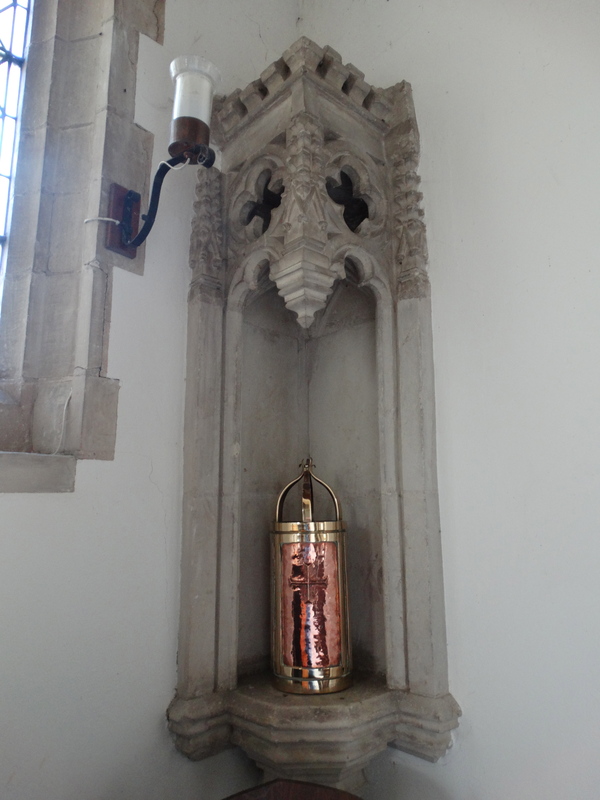 At the east end of the chancel is the grave of Henrietta Maria Cornwallis. She was the daughter of Frederick, 2nd Lord Cornwallis, and died in 1707. 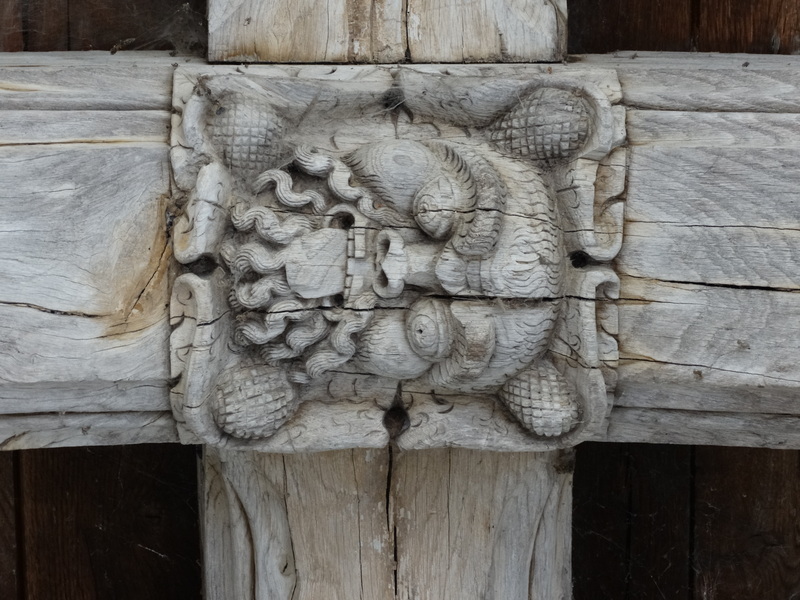 It is inscribed “Cross she lived and cross she died, cross she was carried, and cross she lies”. 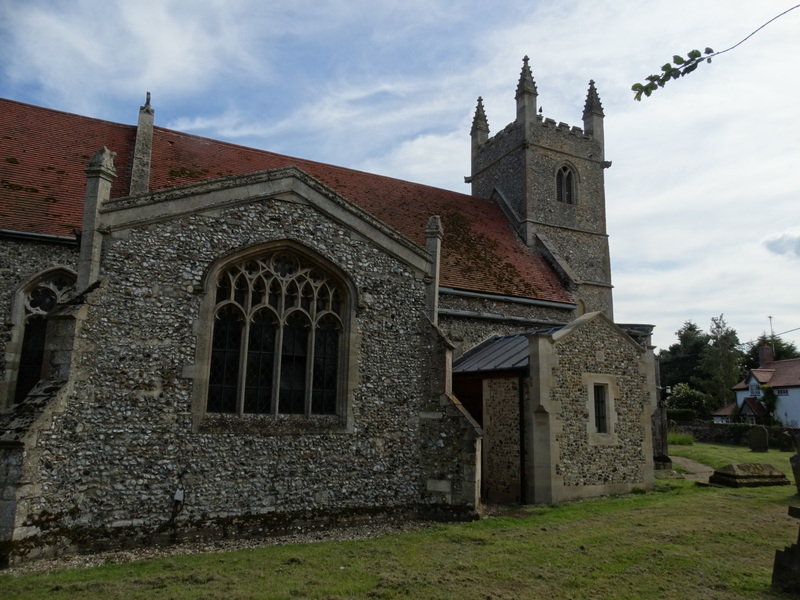 The John Gage book of Fornham, in Cambridge University Library, says that the inscription originally started “Horrible Henrietta …” but the ‘horrible’ was deleted on the orders of the Bishop! Gage also says that her coffin was carried into church crossways for her funeral service. 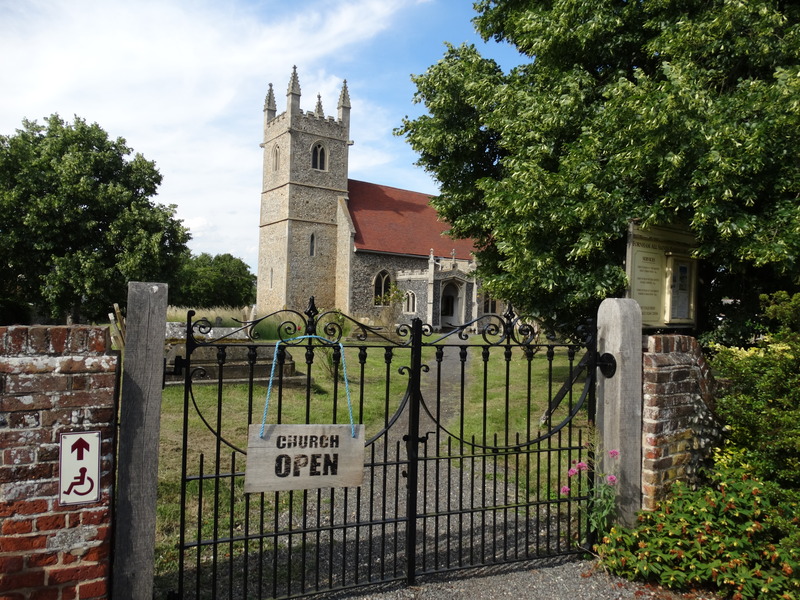 This entry was posted in Outside Northumberland, Personal, Suffolk. Bookmark the permalink.